I agree, Jutta... and this search filtering system already exists on the Upwork site, as you can use all those filters when searching the entire database of Upwork freelancers.... all Upwork needs to do is implement the same search system for the job applicants list and suddenly the process of screening applicants becomes WAY easier and less time-consuming. thank you for your detailed description. Having hired only twice on this platform, I can only comment on some aspects, but I do agree that the amount of clicking and toing and froing one has to deal with is unnerving. 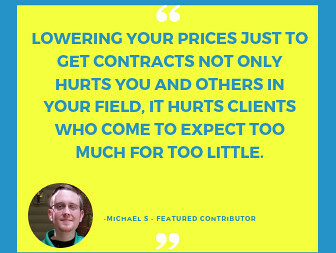 The fewer actions a client has to take, the better. That is one reason why the various categories like Rising Talent, Recommended, etc. were introduced, I think. (Although Rising Talent does not refer to early or continued success. Otherwise I would have that badge as well. But I don't because I did not fill in the whole profile form, which is a prerequisite.) A list -- like a folder file list in the Windows OS -- which allows for different views (list, smaller and larger symbols, list with details, etc.) and which the user can choose to display any way he or she wants would be more helpful. "As to your not finding suitable candidates -- have you tried browsing through the list of freelancers using a filter? Sometimes you have to go after them. ;-)"
Sure, that's absolutely true, some types of position require a client to actively seek out the best freelancers and invite them to apply.... I always do this when posting high-end programming or business service type jobs. list of applicants, ended up with 12 shortlisted candidates who would have been a good fit for the position. Honestly, if I wanted to spend more time searching out a freelancer to fill a job like this, I would just hire a headhunting company. My time is worth more than that, hence why I've used Upwork so often in the past to fill this type of position. The point is that this whole process is WAY more difficult than it needs to be..
Don't get me wrong, Upwork has some real benefits and strong points.... but I don't accept the argument that I should have to spend hours sorting through a huge list of freelancers who may or may not be interested in the job, invite each manually, and then once again sort through the list of applicants to try and find the ones I invited or the ones that match the required qualifications. That's just a completely lazy and apathetic response to a problem that can be solved easily. I agree, but I also think that 40 applicants in the first hour is...a nice result. One more idea: Upwork also has VAs on offer. How about hiring an assistant for the selection process? Trawling through piles of applications isn't fun, but a VA, HR specialist or similar could do it for you. Cheaply, if you hire on Upwork. Mark, I can really see your point of view because I post jobs and do initial vetting for one of my clients. As such, I agree with Alexandra that it might not be a bad idea to hire a VA that can manage these types of jobs for you. It absolutely isn't a good use of your time to do so yourself. I realize there's a certain level of trust that must be attained before you'd be comfortable handing this off to someone else to manage but, ultimately, you'd likely save yourself a ton of time, energy and money. Thanks for the suggestion, Christy / Alexandra. However, I'm not really interested in paying someone to navigate the very user-unfriendly hiring process on my behalf.... that's not a solution that I find acceptable when I'm already paying $6,000+ per year to use the Upwork platform. 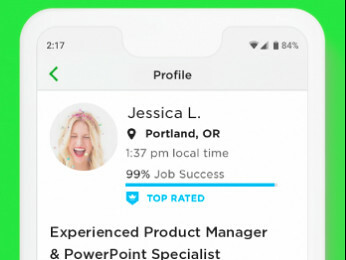 There are a half-dozen ultra-basic features (all clearly outlined in this thread) that Upwork could implement in a matter of hours to make the hiring process easier, simpler, and more transparent. 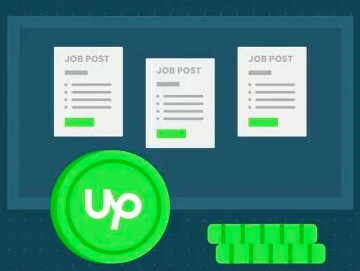 Given the [significant] fee increases that Upwork has rolled out recently, I think it's completely reasonable to expect them to make simple changes to the platform and their services that will make them more intuitive and user-friendly for clients like myself. On a positive note, I'd like to recognize Upwork for reaching out to me again today to seek further feedback and offer assistance finding talent in the future. I'm still unhappy with the ineffective hiring process, clunky platform, and lack of features... but it's nice to see some action from Upwork and I appreciate the personal follow-ups from management. Hopefully some of the issues mention in my initial post will be resolved before I have another job opening to fill. I'm certainly more hopeful than I was when I made the initial post. I wonder if I'm the only one who finds it ironic that a site with the world's largest pool of freelance talent can't find professional programmers to make their site better? I miss Elance. I have a lot less invested in Upwork than Mark B, but I'll just say that the 2 projects I've posted so far on Upwork have been a much greater pain in the arse relative to my prior experiences on Elance. Sifting through crap applicants is hugely more difficult. Even the Messages UI is bizarrely bad. Frankly this whole site should be trashed and someone should start from scratch. And while you're at it, why not start with the logo itself? Can't you see that the "p" in "Up" is a loop ending in a downward motion? That way the whole nice symbolism of the "Up" is neutralized and turned into the opposite. I will wonder forever how anybody in their right mind could choose such a symbol as the main logo for their company. Disgruntled buyers, while all I could do was laugh when reading the astute critique of the logo I can offer a few suggestions on perhaps solving some of your issues in finding freelancers. Keep a list of those who did excellent work (refer back to your eLance files if need be) and send them private invites to jobs prior to posting them for general distribution. Providers that worked with you in the past are those most likey to respond favorably to a new invite. Their rates will probably have increased to compensate for the new fee structure BUT the time you save and the decrease in your frustration level will appreciate it.